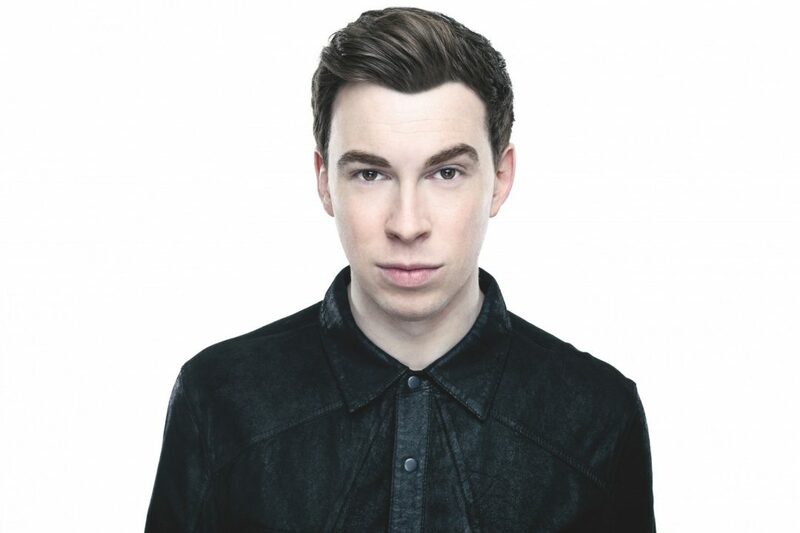 Hardwell gained recognition in 2009 for his bootleg of “Show Me Love vs. Be”. The song is a mashup of Robin S.’s “Show Me Love” and the instrumental track “Be” by Steve Angello and Laidback Luke. In 2010, Hardwell formed his own record label, Revealed Recordings. Soon after the launch, Hardwell started the release of Hardwell presents Revealed, a compilation album released annually which featured some of the label’s biggest tracks of that year. In March 2011, Hardwell launched his own radio show and podcast, Hardwell On Air. It is being broadcast on various international radio stations. Additionally, the podcast has a spot on iTunes’ Top 10 Podcasts in several countries. His collaboration single with Tiësto, “Zero 76”, was one of the biggest club tracks of that year and his first single to chart at number one on Beatport and on the American iTunes dance chart. In addition to multiple other hits released by Hardwell in 2011, including “Encoded” and “Cobra”, Hardwell entered the DJ Mag at number 24. In 2012, Hardwell’s biggest track was the solo-original known as “Spaceman”, which has seen more sets, bootlegs, and remixes than any of his previous releases. In July of that year, he went on to perform at the main stage of Tomorrowland. As of March 2014, the performance holds over 21 million views on YouTube and was the most watched live DJ set on the site for over a year. It was dubbed by many as a contender for the best set of the year. Alongside other artists such as Alesso, Nicky Romero and R3hab, Hardwell was named an EDM artist to watch in 2012 by MTV. He then placed at number 6 on DJ Mag for 2012. Hardwell kicked off 2013 with a nationwide Hardwell presents Revealed: Canadian Bus Tour, joined by fellow DJs Dyro and Dannic. This was then followed with a nationwide Go Hardwell or Go Home tour that took place in venues across the United States. In March 2013, having featured for the first time on the main stage of Ultra Music Festival only one year prior, he returned to the Miami event and, with over 22 million views, it is the most watched live DJ set on YouTube as of February 2014, surpassing Hardwell’s 2012 Tomorrowland set. Hardwell’s set also broke all records for the most watched Ultra live broadcast with over 80,000 people watching his set online through the live stream. In April 2013, Hardwell launched his I Am Hardwell world tour. The first phase of the tour saw sold-out shows in Jakarta, Singapore, Bangalore, Mumbai, Lisbon, and London with further venues coming up. Following on from his 2012 Tomorrowland performance, he returned to the main stage of the music festival in 2013. This time the live set gained a million views on YouTube in several days and has been viewed over 19 million as of April 2014. During Amsterdam dance event (ADE) in October 2013, Hardwell held the world premiere of his I Am Hardwell documentary at the Tuschinski cinema in Amsterdam. The documentary, filmed by Robin Piree, provides an inside-look at Hardwell’s rise and career over the past few years. The premiere was attended by several other famous DJs, including Armin van Buuren and Tiësto. Shortly after, Hardwell ranked at number one on DJ Mag, making him the youngest DJ ever to top the list at 25 years of age. In an interview with DJ Mag, Hardwell stated that he is working on his debut studio album, which is expected to be released sometime in 2014. However, he later stated that the release date has been postponed to early 2015. In October 2014, he released the music video of the album’s lead single “Young Again”, which features vocals from Chris Jones. A day prior to that, he unveiled the cover art for his debut studio album which is entitled United We Are. On 18 October, DJ Mag announced that Hardwell has remained at number one for the second year in a row. He was the only DJ on the list to have not move from their previous spot. On 3 November, Hardwell announced that he will release another single prior to the album release date, his collaboration with W&W featuring vocals from Fatman Scoop, “Don’t Stop the Madness”. On 15 November, Hardwell concluded the North American leg of his I Am Hardwell tour at Madison Square Garden, following the way of many other big artists. On 2 July 2015 Hardwell announced that he will be playing a show in Mumbai on 13 December 2015. A world record for the biggest guestlist is expected to be broken via this event. Hardwell aims to have 100,000 people in his private guestlist. It will be organised by Indian dance music festival giants Sunburn Festival, and all proceeds from the event will be donated to the United We Are Foundation which would provide free education for children in India, making a contribution towards the eradication of illiteracy in India. This ended up helping 18,000 children. On 12 October 2015, Hardwell released his single featuring Jake Reese “Mad World” as the track number 200 on his label Revealed Recordings. On 25 January 2016, Hardwell released his new single in a collaboration with Afrojack “Hollywood” under his label Revealed Recordings. Again during Amsterdam dance event (ADE) in October 2015, Hardwell premiered his second documentary I Am Hardwell – Living The Dream a film by Robin Piree on 13 October 2015. The movie was premiered in Amsterdam and hit the Dutch Box Office on 15 October 2015. In February 2016, Hardwell went on a Revealed North American Bus Tour along with two other DJs, Thomas Newson and Kill the Buzz, which went around the Eastern United States and Canada. On 29 February 2016, Hardwell launches new song with Jake Reese called “Run Wild”. On 16 March for Hardwell’s performance at Nikki Beach for Miami Music Week, you’ll be able to experience it all in a virtual reality and 360 video livestream that immerses you in the crowd. It’s the first EDM event to be streamed in this way. And it’s also the first livestream event available on all VR headsets, iOS, Android, Apple TV and the web. On 28 March 2016, Hardwell released a new track with KURA entitled “Calavera” under Revealed Recordings.